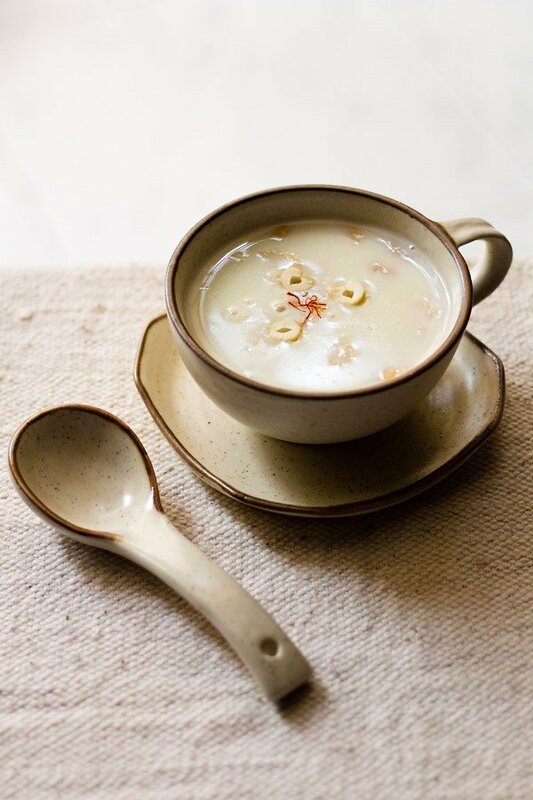 sago kheer is a sweet pudding made with tapioca pearls or sabudana and milk. 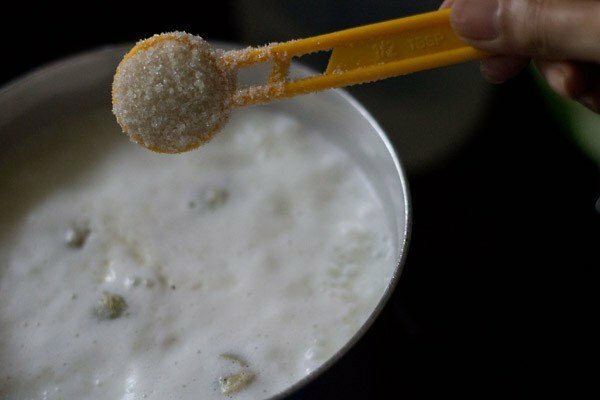 sabudana kheer recipe with step by step photos – sweet pudding made with tapioca pearls or sabudana and milk. we generally make sabudana kheer during the navratri festival or during some of the fasting or vrat days. 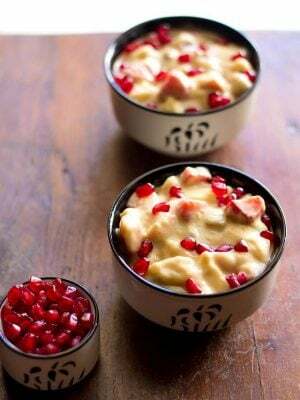 this is a popular indian pudding that is made with tapioca pearls for religious fasting days. 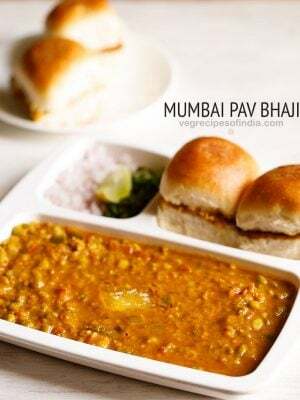 since sabudana or sago is an ingredient that is a part of fasting food, we make a lot of snacks with it like sabudana khichdi, sabudana vada, sabudana tikki etc. detailed post covering rules for navratri vrat. this sabudana kheer is very easy to make. 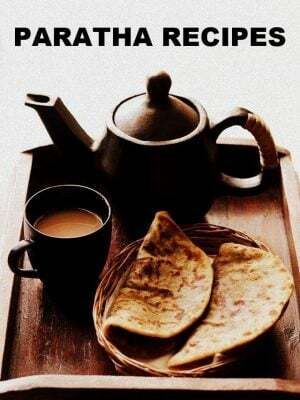 i remember that sabudana kheer was my mom’s favorite kheer and she would make this kheer often… and this is my mom’s recipe which she has been making for many years now. this is a creamy smooth kheer. just remember to cook the sabudana pearls very well. once cooked, they should not give you any resistance when you bite into these pearls. 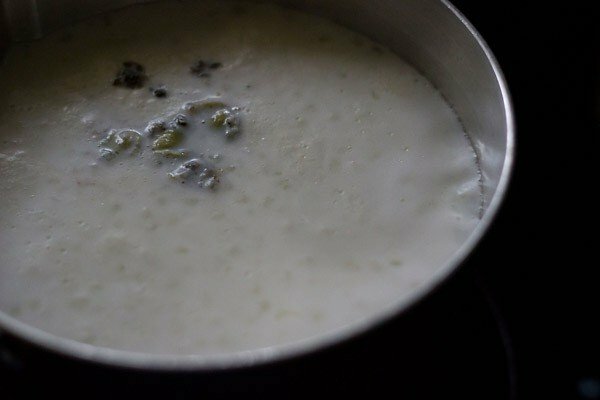 the sabudana kheer naturally thickens after cooling, so keep in mind the consistency you want in case you want to serve it cold. sabudana kheer is easy to digest too. rinse the sabudana pearls till the water runs clear of the starch. take a thick bottomed pan or sauce pan in which you will be making the kheer. add the rinsed sabudana pearls and water in the pan. cover and let the pearls get soaked in the water for 15 to 20 minutes. later keep this pan on the stove top and begin to cook the sabudana pearls. meanwhile heat or warm the milk too. no need to boil the milk. after 4 to 5 minutes, add the milk to the pan and continue to cook. 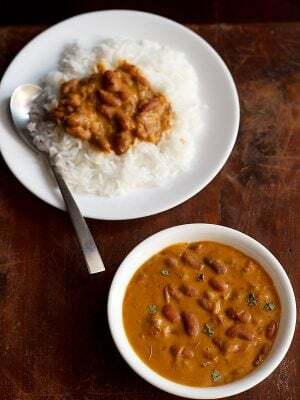 add sugar and cardamom powder and simmer till the pearls have cooked well for about 20 to 25 minutes on a low to medium flame. switch off the fire and add cashews and raisins. garnish the sabudana kheer with saffron strands. 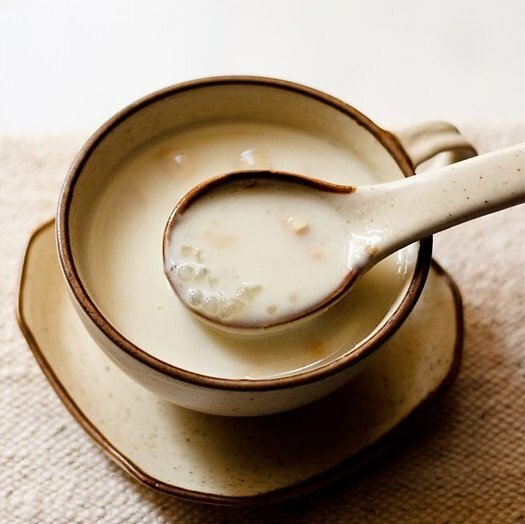 serve sabudana kheer hot or warm or cold. 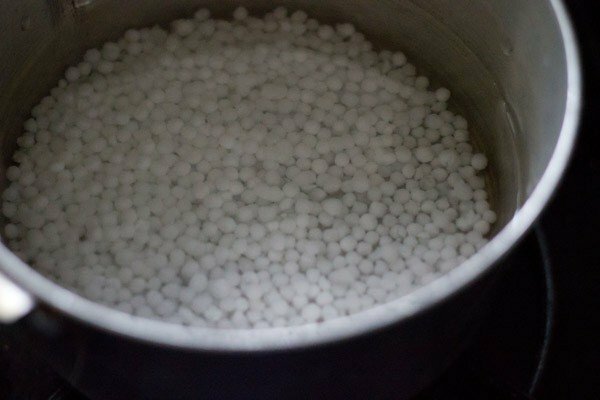 1. rinse the sabudana pearls for few times in running water till the water runs clear. 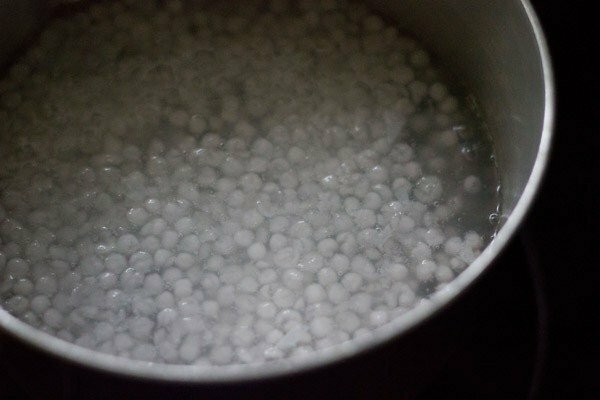 soak sabudana pearls in water for 15-20 minutes in a thick bottomed pan or sauce pan. 2. place this pan on fire and allow to cook the sabudana pearls till you see all of them starting to float on top… coming from the bottom. they loose their denseness and become light. the opaqueness in the sabudana pearls gives way to translucency and they start swelling up. this takes about 5-6 minutes on a low to medium flame. 3. next add milk and the cardamom powder and stir. 5. continue to simmer till the sabudana pearls have cooked well and the sabudana kheer has thickened. about 20-25 minutes on a low to medium flame. some of the pearls would break too and also help in thickening of the sabudana kheer. these pearls are plain starch and this helps in the thickening of the kheer. switch off the fire and add cashews and raisins. 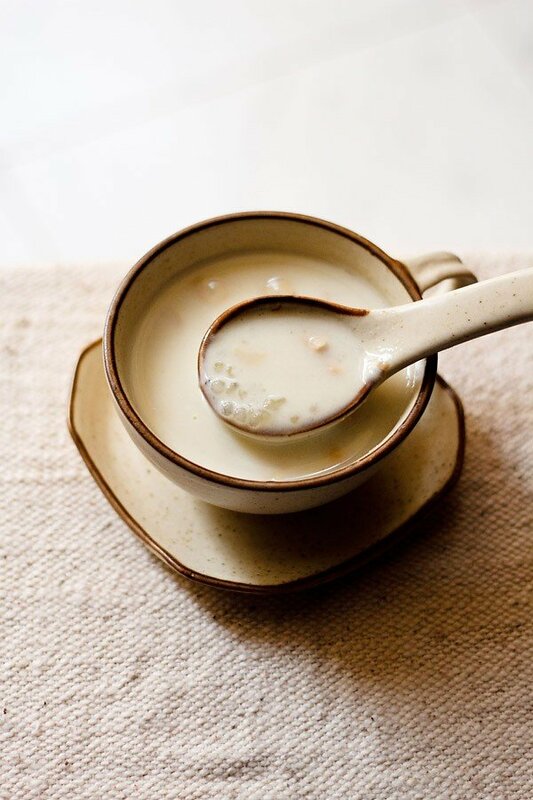 serve the creamy sabudana kheer hot or warm or cold. if you want then you can garnish the sabudana kheer with saffron strands. Can i drink this sabudana in my snack time at my office, is it good if i drink daily without milk only sabudana, water and sugar ingrediants. anything of too much is never good. 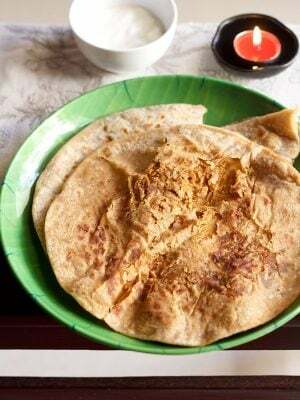 so i would suggest to have sabudana once in a while. Hi, do we need to soak sabudana for 3 to 4 hrs? Or just 15 mins boiling is enough??? Deepika, if you soak sabudana for 3 to 4 hours then cooking time will reduce. you can do either of them. both method will work. Welcome Sumedha. Glad to know this. Thanks for sharing positive feedback on sabduana recipes. when to add sugar is already mentioned in the recipe card as well as in the step wise pics. It’s easy and fast to cook. Please add my email for further recipes. 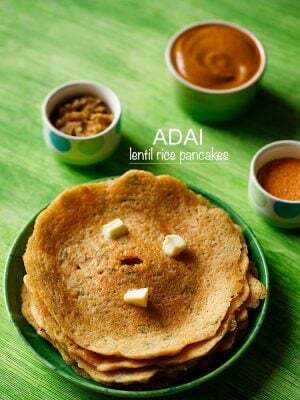 thanks for the recepie,i’ll definitely try it this week.I have a question though – before step 3,do you strain the cooked sabudana in the second step? the sabudana is not strained after they are cooked. it has survive me after my marriage and also after I became a mother. nitika, your email has been added in recipes email subscription list. So important guidance, thankyou so much. welcome sunny. glad to know this. 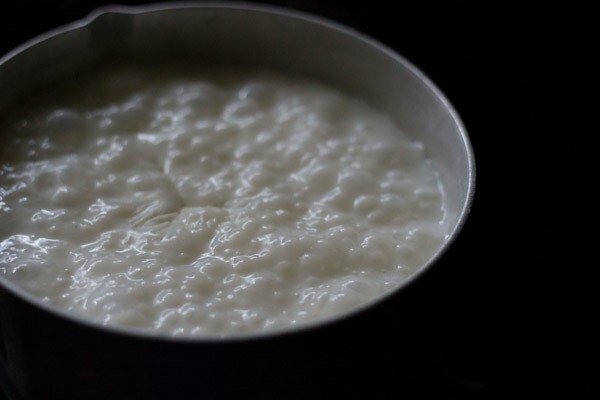 Can this kheer be stored and refrigerated? Looks tempting.. Will try. thanks garima. for one day you can keep in fridge. consume the kheer within one day. it will thicken. but don’t freeze it. Sure. By the way, it turned out great. We all loved it. thanks garima. glad to know this. I always try your recipes but never get a chance to comment, but today i have to coz being a maharashtrian this recipe i tried for my hubbys tiffin and it came out deliciously delicious. Thank you so much and I remembered my mom would make this. All the readers should try this. Kheer is very very tasty………. Looks so creamy and delicious.. Yummy!